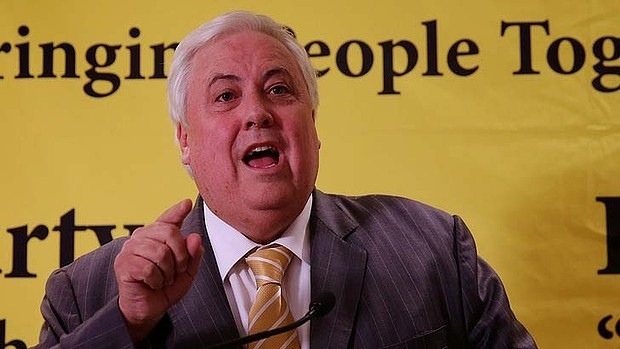 Eccentric businessman Clive Palmer has turned his back on sections of the resources industry by joining the campaign against coal seam gas in Australia. Despite previously investing in a company that wanted to develop onshore oil and gas in Australia, Mr Palmer released a statement today that firmed his stance against coal seam gas. “Let’s take a breather on the coal seam gas industry,” he said. Mr Palmer’s comments appear to be a reaction to Tuesday’s report by NSW chief scientist Mary O’Kane, which declared that coal seam gas drilling could pose health and environmental challenges and needed more research. Mr Palmer is running for federal parliament under the banner of the ”Palmer United Party”, and his comments are likely to be a pitch to rural voters in NSW who are concerned that the boom of coal seam gas in Queensland could be repeated near their homes. Mr Palmer hinted that he could be turning against coal seam gas last week during and campaign event in the NSW rural electorate of Lyne. Mr Palmer referred to Ms O’Kane’s report in the statement. “This report raises serious questions about human health, the effects on the environment and water in particular, landholders’ legal rights and industry regulation and compliance,” he said. “All governments and companies involved should put their personal interests on hold and support a thorough investigation into these concerns. The comments come after Mr Palmer sought to take control of ASX listed Central Petroleum last year, before selling down his stake when he failed to gain control of the company. Central is developing a shale oil and gas business – which is similar to coal seam gas drilling – in central Australia and Texas. While shale is considered less risky for groundwater than coal seam gas drilling, it has been plagued by similar problems and community concerns over its impact. Mr Palmer also has ambitions to develop a significant business in exporting conventional coal from central Queensland, as well as iron ore interests in WA.